Happy International Nail Art Day! This is the first holiday created to celebrate nail art. A big thank you goes out to Nails by Mimi for putting this all in motion! Nail art is clearly a huge part of my life and you guys know I'll take any chance I can get to celebrate it. For more info, check out the #INAD Twitter and Instagram. Today I have some nail art that I did using three of the China Glaze Sunsational jellies. I knew I wanted to try to get them into nail art, but with the jellies being so sheer I was unsure how to make them work. BUT THEN - LIGHTBULB! 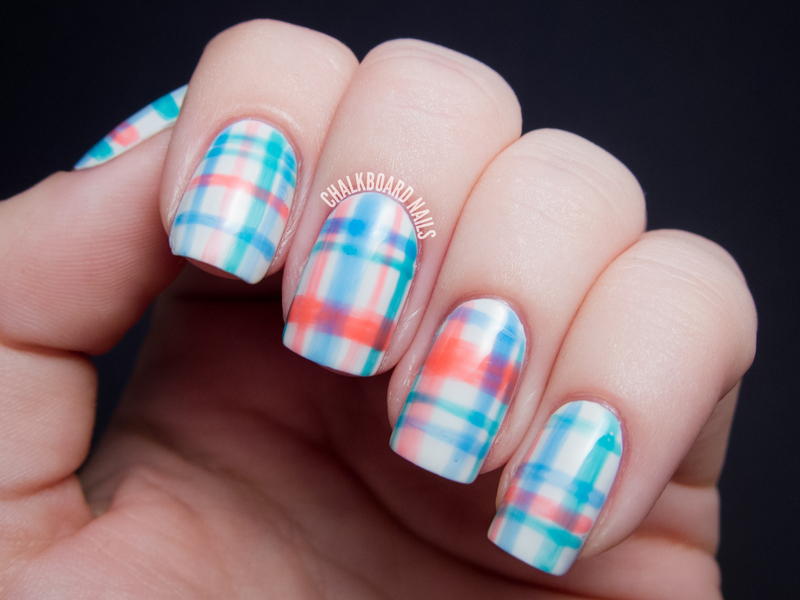 I thought it would be neat to do a plaid design, because the colors would mix where the lines overlapped each other. I freehanded all of these lines with a striper brush on to a white base. I did have to go over each line a few times to make sure the color was even and bright, but I think it's totally worth it as I love the way this turned out. The overlapping turned out better than I expected! 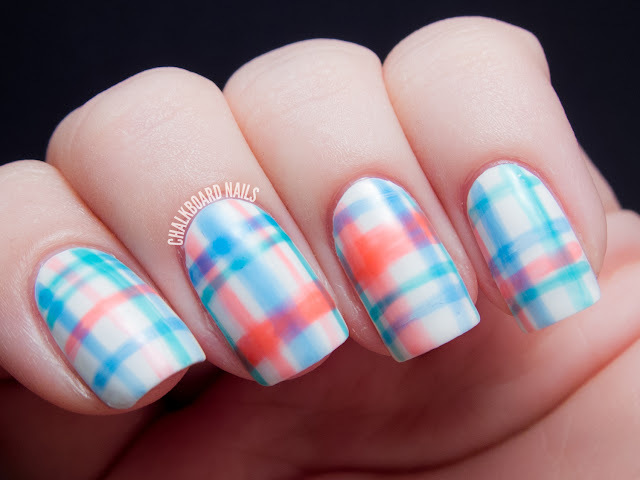 For another variation of the jelly-plaid manicure, check out Katy's blog (can you believe we had similar ideas at the same time?)! I like the base color and the consistency in her manicure! The China Glaze Sunsational collection was released in July. You should still be able to find it at fine salons and beauty supply stores nationwide! And be sure to check out my previous Sunsational nail art looks: The No Sponge Required Gradient and my Hipster Mix and Match. I really love this! what a fantastic idea. Plus those colours are so lovely together. This is plain awesome! 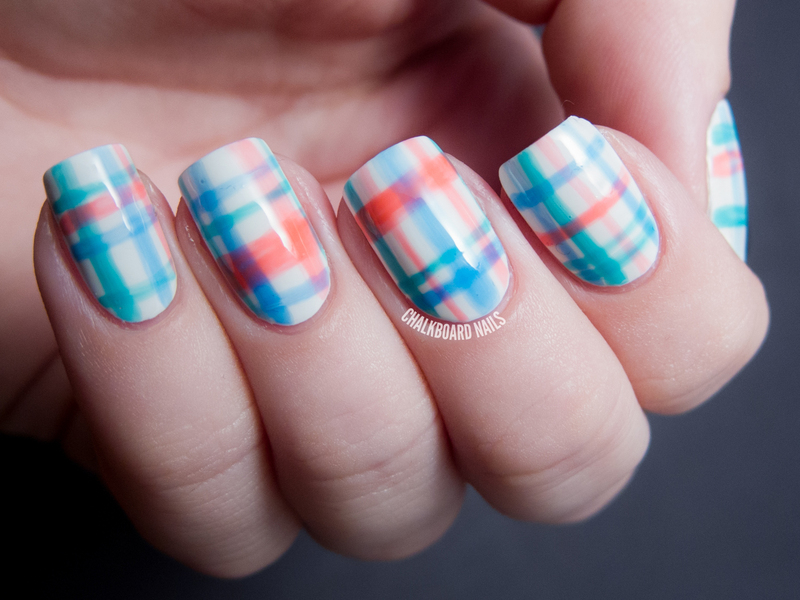 Of cause this is the ultimate nail art with them.